Ted Burke LIKE IT OR NOT: Give Robert Christgau A Writing Gig NOW! Give Robert Christgau A Writing Gig NOW! The firing of pop music Robert Christgau from the Village Voice by their new owners gives me yet another reason to pass up the weekly on the news stand and to cease dialing up their web site. I'd been reading Christgau's insular, fannish, personal and idiomatically dense reviews for decades and rather liked the idea that I was part of the cognoscenti who could parse his sentences and follow his train of thought. Any Old Way You Choose It, his collection of longer reviews and pieces gathered from the Sixties and Seventies, is one of of my all time favorite essay collections, a brainy, chatty, at times exasperatingly idiosyncratic journey through a couple of decades of extraordinary innovation; I love it for the same reason I still cherish Pauline Kael's I Lost It At The Movies, for that rare combination of true fan enthusiasm and discovery. As with Kael at her best, you can sense the moment when Christgau comes to an insight, a discovery as yet undiscovered by other writers; he has that element of "ah-HA! "Coming to his Consumer Guide column, where he would review anything and everything available, from the varied strands of rock,disco, reggae, folk, jazz and popwas like meeting that clutch of friends you knew in college who considered rock and pop the emerging Grand Art. His was a column where I found someone who kept the conversation going, and strange and self indulgent as it may have seen, it was a fertile ground to debate and exchange ideas on the relative qualities of music. Anyone who's been through this bit before, the obsession with rock music being an art and establishing the critical terms with which one can assess, appraise and make note of what makes albums worth the purchase, appreciates the kind of critical thinking which becomes a habit of mind. In college I was Arts Editor of the thrice weekly campus newspaper, and was required ,in addition to my studies, to write a crushing amount of column inches a week on matters of music, theatre, television, movies. Rough life, I know, but it was alot of writing none the less, and the chief debt I might have toward Christgau , an admittedly sketchy model for a minor league reviewer, was the creation of a tone, a style. The Village Voice, founded in the fifties by Norman Mailer and Dan Wolfe, was formerly noted as a magazine where the pittance that writers were paid was somewhat compensated by the freedom they had to develop writing style, ideas and journalistic beats. It was a writer's publication, and that was the chief attraction for a reader who wanted more than cooker cutter reviews or cursory coverage of politics and culture. 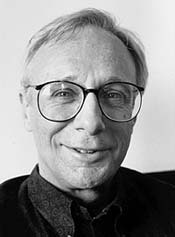 Christgau is a product of that freedom and developed a particular argot and style that was intended for those as obsessed and concerned with music as he was; he is a critic, not a reviewer distinction being that the critic assumes that his or her reader has the same background in the area under discussion as they do. expressions. This leaves him incomprehensible for many who think his writing is too dense with insular references and verbal short hand to bother with, but that was a chief part of my attraction to his writing. There were many a time when I was in my twenties when I hadn't the slightest idea of what he was talking about-- who was Adorno? Marcuse? Sun Ra? ?-- but the subject matter at hand compelled me to investigate references further. It was an old fashioned enterprise, his column in one hand, a dictionary and an encyclopedia at the ready to clarify the murkier waters of his prose. Any inspiring critic does that. Christgau and the late Lester Bangs gave me some ideas and methods in learning how to write fast, and well (or at least well enough that some light editing could be done without a major operation and my copy could be taken to the typesetter before deadline). What is impressive about Christgau is his catholicity of taste, his constant curiosity about new sorts of noise and racket, and his ability to form connections and generate operate theories. His writing is unique, and the Village Voice's loss will be another editor's gain.